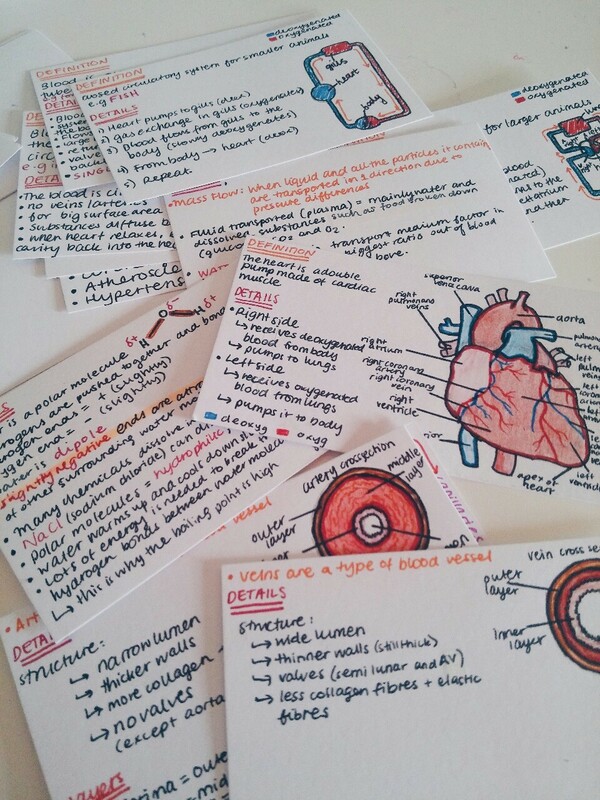 I’m taking two classes this term, one of which is Human Anatomy and Physiology. I haven’t taken any kind of science classes in over 30 years, since “biology without the lab” at the University of Manitoba in the ’80s. Now more than five weeks into the class, I am realizing more than ever how difficult it really is for me. To be fair, it isn’t only difficult for me; biology classes are challenging for many students. So how do I go about memorizing so much material? The professor suggests mind-mapping—a seemingly-complex method of creating a diagram organizing information. 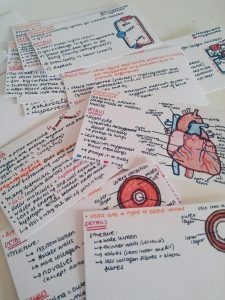 My niece, a nursing student, suggests making flashcards. I decided to take the advice of both of them—sort of. I use Quizlet online, a service that offers free study tools to help you learn, which I have found helpful. That being said, at the moment I’m flash-carding through tissue types. There are endless subcategories and examples. I’m kind of frustrated. I want to work with seniors when I graduate from the program, and it’s a bit hard to see how tissue memorization will help me to work with and develop recreation programs for the elderly. I’ve also decided to take advantage of available technology. YouTube has a wealth of short videos on every one of the topics we are studying, from skin to cells to tissues. CrashCourse and other channels like it present material in a clear and often humorous fashion. Back in my day, we had to go to the library and look through stacks of index cards for the books we wanted, not to mention the encyclopedias my parents had bought from a door-to-door salesman back in the ’60s. I am also discovering that studying for about two hours at a time and every day is a good idea. Cramming won’t work for me here. It is almost like the material has to settle into my brain. I am beginning to recall that this is how I learned back in the early ’80s when I was working toward my degree. The upcoming midterm has me a bit terrified. However, I hear my late mother’s voice in my head—“Just do your best”—and I tear up and think yes, Mom, you were always right about that. I will say that with the fear comes excitement. I feel like I’m really using my brain for the first time in a long time. Some of the facts I am learning I find rather fascinating. My brain seems to be loving learning new things.